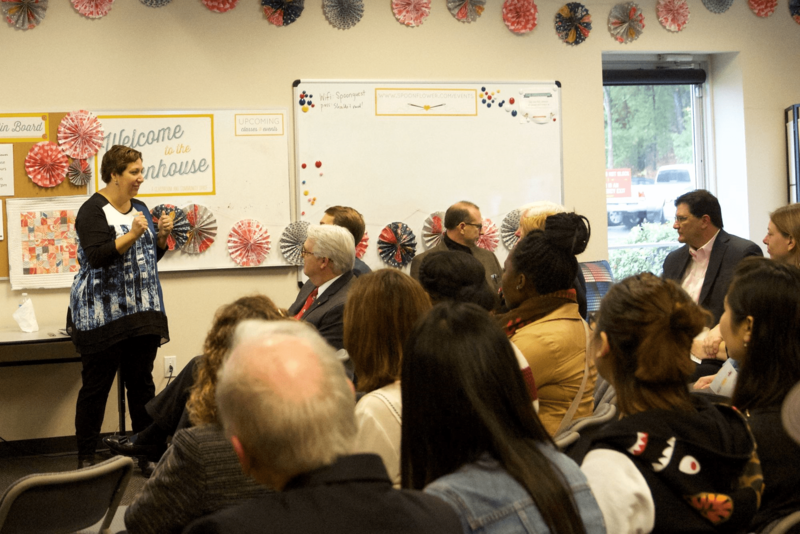 Last Friday, Spoonflower co-hosted a celebration of the annual, national recognition of the manufacturing industry, also known as MFG Day, with NC State's Industry Expansion Solutions team. 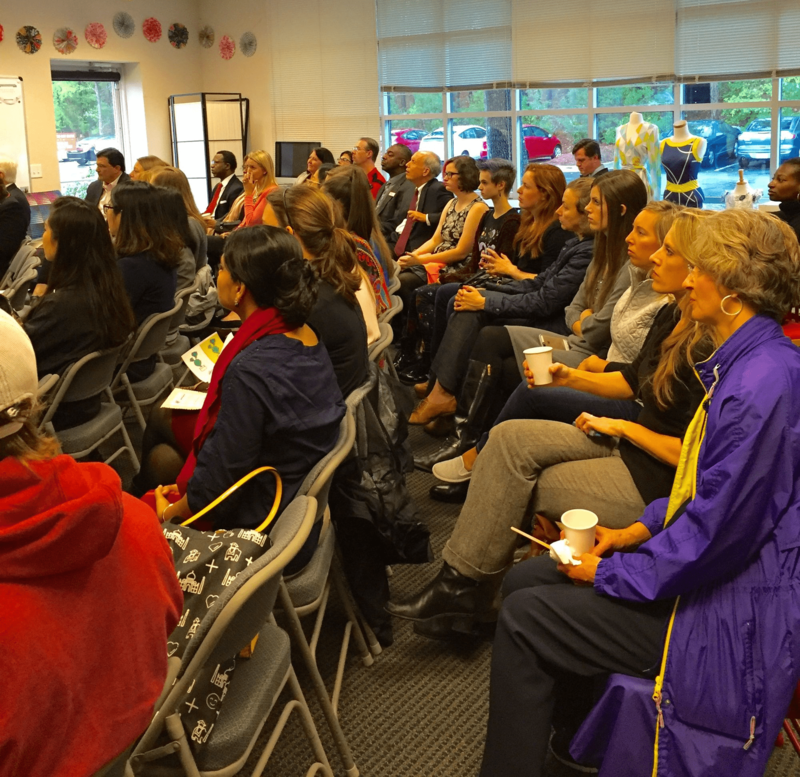 On a rainy morning, we opened our doors to about 50 industry and university leaders from around North Carolina, including students and professors from the NC State College of Textiles, to learn more about Spoonflower and the history of textiles and manufacturing technology in North Carolina. Gart Davis, co-founder of Spoonflower, told the origin story of Spoonflower, and spoke about how digital printing has transformed the textile industry, and ways that Spoonflower is a tool for self expression. Kerry King, director of R&D at Spoonflower, spoke to the technological platforms that Spoonflower uses to print custom-designed fabric, wallpaper, and gift wrap, and how digital printing creates less waste and uses less water than traditional textile manufacturing processes. Spoonflower co-founder, Stephen Fraser, noted, "As a successful startup, Spoonflower represents the intersection of North Carolina's new technology economy and its rich history in textile manufacturing. The Spoonflower website has given creative individuals all over the world the power to harness this on-demand technology to purchase unique fabrics with no minimum quantities." 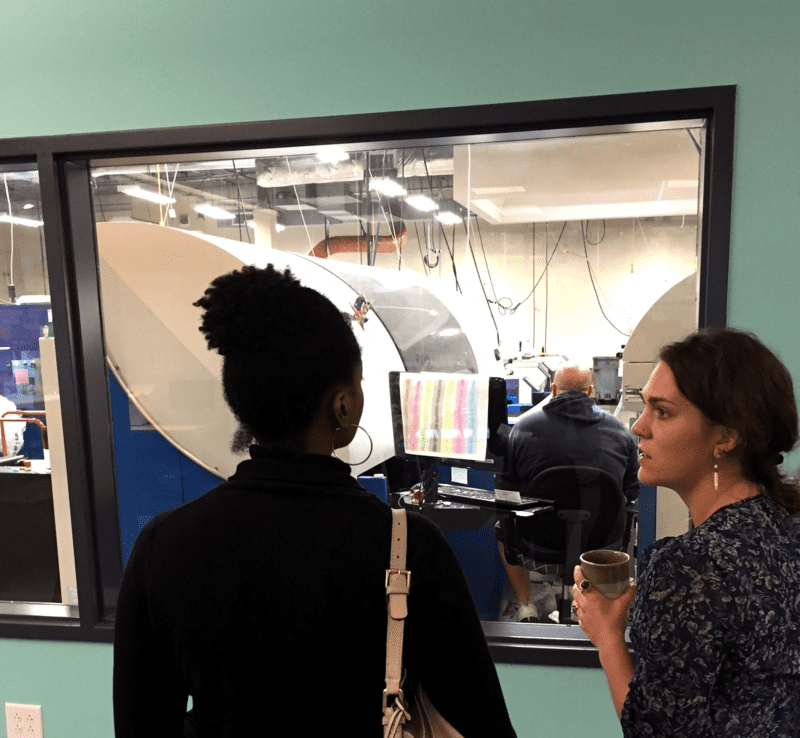 After the colorful presentations, everyone got a tour of Spoonflower's operations floor and was able to see how we do what we do here at Spoonflower HQ! Cheers to hard work, creativity, and determination! Happy MFG Day!